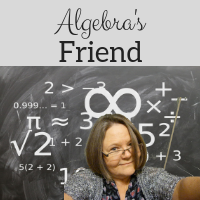 Algebra's Friend: Study Groups, Study Skills, Making Learning Stick! Study Groups, Study Skills, Making Learning Stick! What study skills do you emphasize in your classes? Do you encourage study groups? What's the best way to make learning stick?! Many colleges recommend study groups to students. Learning how to use study groups to their advantage is a skill useful for high school students. Benefits to study groups include taking better notes, sharing strengths, peer tutoring, encouragement and all of these help to provide deeper understanding of content and better grades. A colleague of mine emphasizes the importance of study groups. To encourage students to collaborate, she offers a few extra credit points on tests if students study in groups! But you say, how does she know that happens? The group must take a selfie, and a parent has to email the selfie to her confirming the study group... to earn their 5 points. Students are collaborating, they are studying, and parents must be aware of their efforts! Besides emphasizing study groups, students need to learn study skills. I can think of no better resource than Make It Stick by Peter Brown for this task. I used the assignment below in the first week of school. Students chose a reading or a video to review the main ideas in the book and developed a study goal from there. For this assignment, you will be reading or listening to key ideas from brain research on making learning stick.. Read the directions below for full details. Choose one of the three summaries of the book, Make It Stick by Peter Brown listed below. As you interact with the summary, take notes. What 3 things do you want to remember? What one goal will you set for yourself based on this research? Teachers, if you are interested in more information on the book, check out Cult of Pedagogy's playlist - her reflection from a book study on Make It Stick by Peter Brown. When I used this assignment with students, I recorded some of their noticings and wonderings. A majority of the chapters focus on how the student review or practice the content. Academic skill revolves more around environment and effort. I notice how the author mentions that cramming information before a test the next day isn’t as potent as people believe. I also notice how he mentions retrieval practice and how it should be more spread out. Can someone pick up study skills or do they have to be developed over time? Do genetics still influence how well someone does academically? Does involvement in other non-academic activities have a positive influence on academic development? Is a certain type of learning more powerful/memorable than another or if it is specific to the person? Why does spacing out study sessions make your learning more potent causing your memory and learning to be stronger? I wonder why arduous effort in retaining memory is more effective than memorizing something. I also wonder why i’ve never been taught this before as it provides great information on how to keep your grades in superb shape. How were these studying strategies thought of, and how many people did they test them on? I wonder if there are any methods even more effective than retrieval practice? What ideas do you have for teaching study skills? What support do you provide for students in studying?